iPhone 6 White Screen of Death, How to Fix? "My iPhone 6 screen got white while I was playing a game. As my lock button is broken, so I am unable to do the whole hold lock button and home button. Does anyone know how to fix iPhone stuck at white screen of death?" Many people have faced white screen of death on their iPhone after dropping, jailbreak, water damage, or screen replacement. When this problem occurs, you can do noting with your device, it's just like a brick. 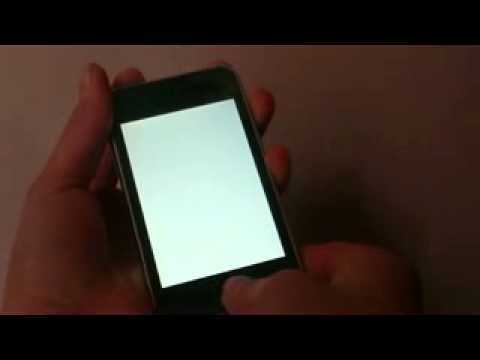 When iPhone stuck on white screen and won't turn on, most people usually have no idea to fix this. That's why we introduce Any iOS System Repair (ReiBoot)-the professional iOS repairing software, works well in fixing all kinds of iPhone screen stuck issues as well as iOS mode stuck and iTunes bugs. Free download this all-in-one repairing tool and get your iPhone out of white screen with simple clicks. This is the way to go after hard reset failed to fix white screen iPhone. Disk Firmware Update (DFU) Mode can get rid of iPhone white screen stuck as well as other software problems you may be having and reinstall the iOS on the iPhone. Note: Put iPhone into DFU mode will erase all the data in iPhone, remember to make backups of your data files before process this method. Run Any iOS System Repair (ReiBoot) and connect your iPhone to computer. After detecting the device, choose "Fix All iOS Stuck" on the main interface. All kinds of stuck issues will be listed out, click "Fix Now" to go on. Now just click "Repair Now" to get into a new page. Click "Browse" to select a save path. And then start to download the firmware package. After downloading. Click "Start Repair" to fix your stuck iPhone by repairing operating system. Just that simple! 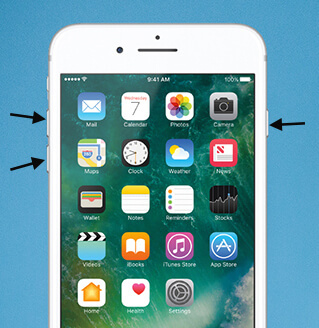 After trying all the three ways above, you must have fixed iPhone white screen of death issue. If this article really helps, share it with your friends to help more people with their iPhone problems. If you still have any questions, please leave us a message in the comment part.